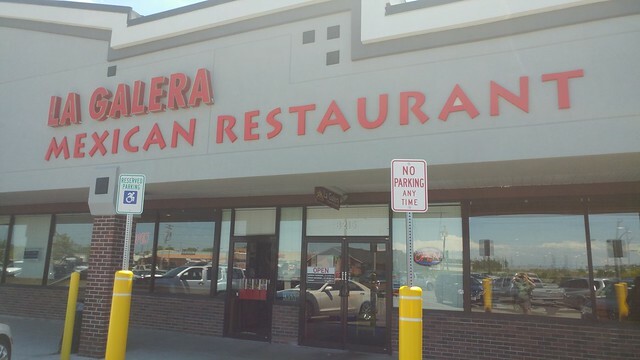 We had lunch at La Galera Mexican Restaurant. 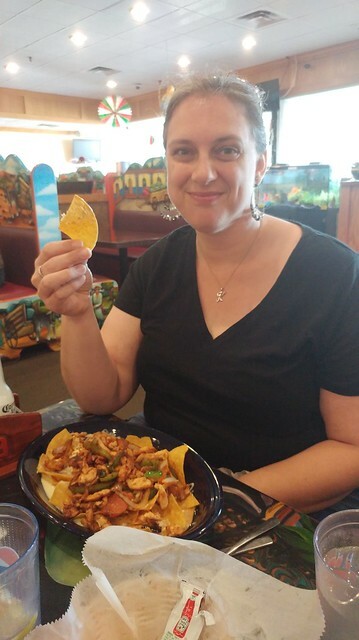 Katherine holds up a chip from her chicken fajita nachos. 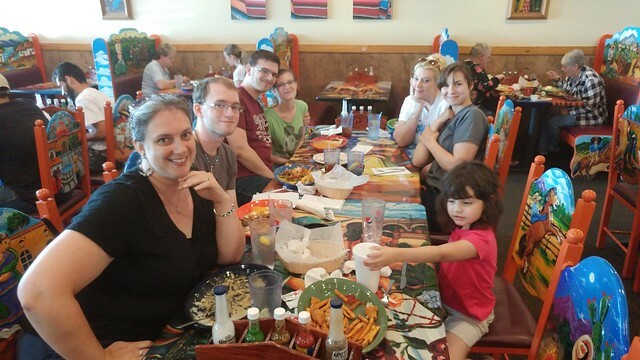 Steven remarked that the steak fajita nachos were particularly tasty. 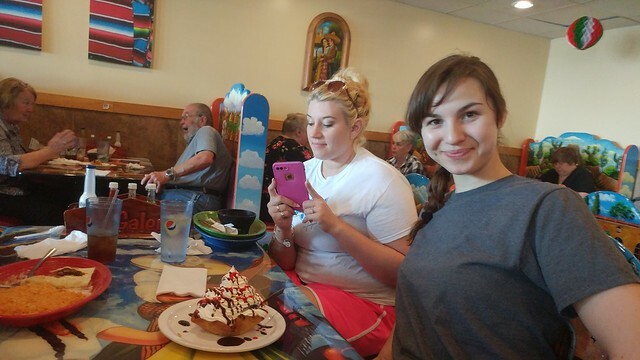 Rachael ordered fried ice cream to share.